Votarists will be familiar with Steffy White. 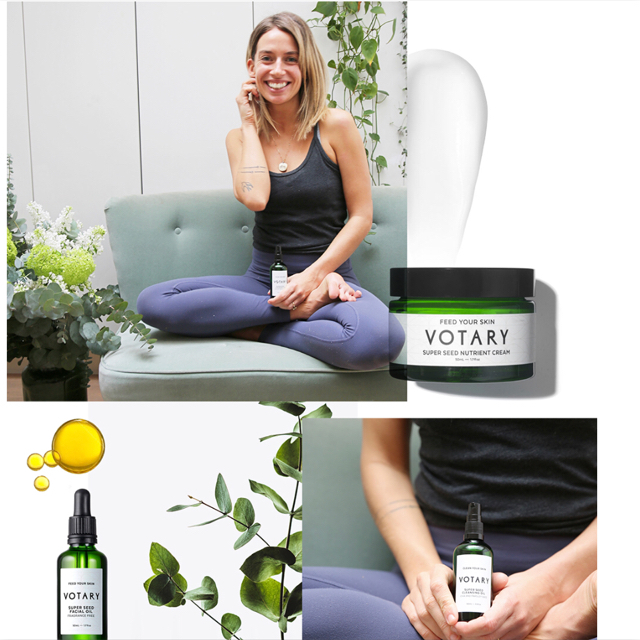 Yoga teacher, wellbeing expert and beautiful Votarist, she is a brilliant example of a life lived mindfully, authentically and with glowing, healthy skin. 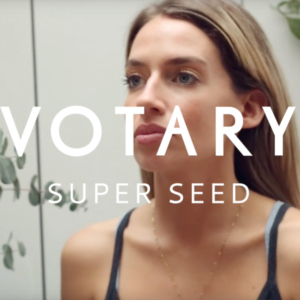 I hope you enjoy sharing Steffy’s wisdom and if you haven’t watched her film, see it here. What do you build into your day to ensure a feeling of wellness? At the start of the day I have a really simple and easy ritual which makes all the difference. When I get up I open my bedroom window and let in some fresh air. I light a palo santo stick and cleanse the room with the fresh air pouring in. I treasure this because it is honouring a new day and a new start, and it distinguishes it from the previous day. I then close my window (depending on weather) and sit for a meditation. I massage essential oil into my hands and inhale and exhale deeply before I start. The time I spend is elastic – it could be five minutes or an hour depending on my schedule. It’s such an easy way to start the day, and it frames the day for me in the best possible way. I focus on the here and now, and on being grateful for the moment. I practice yoga daily, I drink plenty of water and I work consciously to create loving space in my mind and body. I am always mindful of what I’m grateful for, rather than what I don’t have. Which foods do you try and eat regularly? I’m plant-based so eating well is a natural and easy part of my lifestyle. I eat lots and lots of veggies everyday and the healthier something tastes the more I love it. I wasn’t always like this but after eating well for a number of years your taste buds get heightened and you don’t crave processed foods or sugars. Yoga, breath work and massage. How do you manage your phone and social media? Boundaries! I do not look at my phone once in the morning. Which beauty routines are a crucial part of your day? 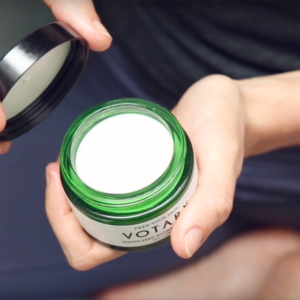 Which is your favourite Votary product and why? Ah gosh I love them all. But probably the cleansing oil because it just makes my skin feel amazing. Why is using vegan skincare important to you? I want to live compassionately, and I don’t think animals deserve to suffer and be in pain because of a product that we want. It’s a devastating reality to me. I want to be awake with my choices, whether it’s what I choose to do in a day, eat, buy, consume. It’s a journey but I want to do my best. Vegetable juice, herbal tea or coffee? Couldn’t get through the weekend without? Favourite loungewear for a night in with Netflix? By being becoming the best version of myself. Thank you Steffy for sharing with us. Find out more about Steffy here.